James Day is a co-founder of a fashion/tech hardware brand, Mous. Mous in the short run is solving all the headphone frustrations. After an internship at Procter & Gamble, James took the risky plunge into startup life, moving to a world of sofa surfing and teaming up with co-founders James Griffith and Josh Shires. 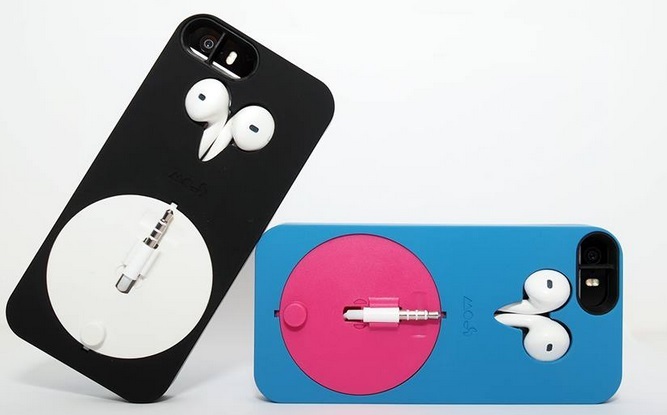 In just 9 months, Mous has been through an incredible journey; from a successful Kickstarter for their first product, Musicase, an iPhone case that retracts earphones and coverage in the likes of the Daily Mail, Telegraph and CNN to moving co-founder Josh Shires permanently to China! The team are now gearing up to a big fashion launch this Christmas with retailers globally. See the product in action: https://www.youtube.com/watch?v=0tg8gJ_0B_4 Visit www.mous.co to learn more about our story and brand. I’m really damn persistent and don’t conform to the norms. Probably one of the funniest but best examples of this would be when I wanted thousands of pounds worth of PR for my Kickstarter launch. Pay for it? Hell no. I broke into the offices of all the major publications I wanted to talk about Musicase, sold them on the story and the product and got a 100% success rate! This tenacious approach really works – it’s a refreshing style for buyers and journalists from the standard day of work. I live and breathe on the belief you truly can create your own success – you've just got to manifest opportunities and grab anything by its horns and give it your all. Honest answer has to be my recognition of every mistake we’ve made at Mous. The beauty of a young brand is you can make countless mistakes, reflect on them and make sure you don’t make the same mistake again! As a team, we constantly take a step back from the business and ensure we take onboard these learning’s; It’s far too easy to be too focused, overlook your mistakes and avoid seeing the bigger picture. Keep on making mistakes and learning, keep being bold and ‘out of the box’ with my approach in order to create my own opportunities. Personal: To become fluent in Mandarin - my factory are helping me learn! Business fascinates me! I just love learning the full end to end once I've done hardware successfully, I want to move to software and learn a whole different process and throw myself in the deep end again. Startups are just great, I am forever learning in areas ranging from Retail to IP to Manufacturing in China – it’s just crazy! Im an Apple lover; the iPhone 6 is stunning. Golf, Skiing, Asian Culture and Business.